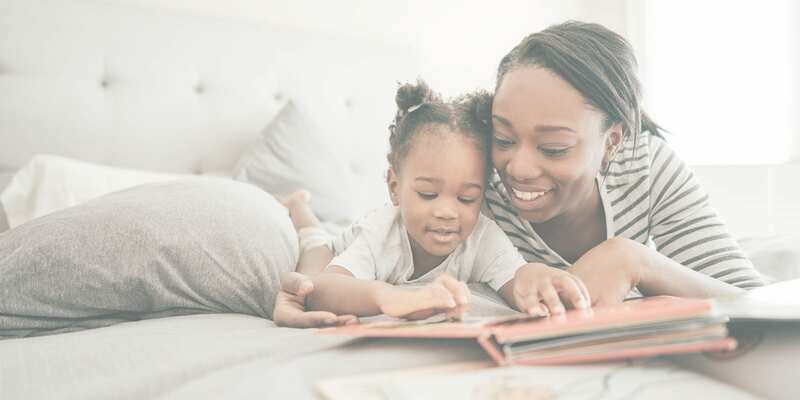 The bedtime story has long been a favorite way for parents to spend quality time bonding with their children while getting settled in for a good night’s sleep. As it turns out, reading storybooks together is one of the best ways to help kids learn to read and offers many wonderful short- and long-term benefits. Let’s take a look at why reading together is so important for early reading and how you can make the most of this time-honored tradition. A 2015 study, published in the journal Pediatrics, used FMRI technology to monitor brain activity while a sample of preschool children listened to a story being read to them. Kids with higher levels of home reading exposure displayed significantly higher neural activity in a region of the brain that supports semantic language processing, mental imagery and narrative comprehension. The findings remained significant even after controlling for family household income. Other research shows that reading to your child can develop a number of important early reading skills. Emergent literacy. Sharing a book with your child develops so-called emergent literacy skills that precede formal classroom reading lessons, and which play a crucial role in later reading success. Phonological and alphabet awareness. Reading aloud helps the child make a connection between print and sound, including the sounds of individual letters. Choosing stories or poems that rhyme is a great way to build this skill. Children who know nursery rhymes at ages 3 and 4 are better able to detect alliteration and rhyme at ages 5 and 6, which translates into stronger reading and spelling proficiency by age 7. Language development. Books, including children’s books, introduce more words and more sophisticated words than the child hears in conversations alone. This builds a larger vocabulary and strengthens oral and reading comprehension skills. Besides preparing kids for success at school, studies suggest reading with kids may also have other benefits. In spite of the benefits noted above, merely reading may not be enough to help your child learn to read. According to some researchers, the quality of book reading time is what counts, not just the quantity. One common mistake adults make when reading with young children is ignoring the pictures. Talking about the pictures in the book, and how the images are connected to the printed and spoken words, provides a more enriching experience that actually promotes early childhood literacy more effectively. When reading to infants, point to and name the pictures in the book. For toddlers and preschoolers, ask the child what he or she thinks about the story. Let the child complete rhymes when reading poems. It’s okay if the child has a short attention span — of if your infant tries to put the book in his or her mouth! Simply choose shorter books at first. Another great technique for reading with young children is “decontextualized” talk, in which the conversation goes beyond the words and pictures in the book. At Little Sunshine’s Playhouse & Preschool®, we strongly encourage parent participation as an essential component of early education success. And reading to your child is one of the best ways you can boost school readiness and share quality time that you and your child will treasure forever. To read about the importance of a hands-on approach with math, click here.